Sam Harris is a controversial figure, to say the least. Personally, I'm a fan of his work, but as one of the "four horsemen" of so-called New Atheism, he has met with much ire since the publication of his first book. This comes not only from religious adherents, but also from secular liberals, many of whom seem to willfully (and sometimes maybe even gleefully) misinterpret him. Although Free Will, published in 2012, courts less political controversy than Harris' other works, it too will raise the eyebrows of some readers. In fact, earlier this year, it met with a prickly reception from fellow "horseman" and philosophy professor Dan Dennett. Scientific research shows that "determinism, in every sense relevant to human behavior, is true. Unconscious neural events determine our thoughts and actions—and are themselves determined by prior causes of which we are subjectively unaware." Even if determinism were not true (due to, for example, randomness in quantum events), free will would still not be possible, as in that case "[our wills would be] the product of chance and we [would not be] responsible for them." Upon introspection, "free will doesn't even correspond to any subjective fact about us ... Seeming acts of volition merely arise spontaneously (whether caused, uncaused, or probabilistically inclined, it makes no difference) and cannot be traced to a point of origin in our conscious minds." The physiologist Benjamin Libet famously used EEG to show that activity in the brain's motor cortex can be detected some 300 milliseconds before a person feels that he has decided to move. Another lab extended this work using functional magnetic resonance imaging (fMRI): Subjects were asked to press one of two buttons while watching a "clock" composed of a random sequence of letters appearing on a screen. They reported which letter was visible at the moment they decided to press one button or the other. The experimenters found two brain regions that contained information about which buttons subjects would press a full 7 to 10 seconds before the decision was consciously made. More recently, direct recordings from the cortex showed that the activity of merely 256 neurons was sufficient to predict with 80 percent accuracy a person's decision to move 700 milliseconds before he became aware of it. (Harris provides sources for each of these claims in the book, but I am not reproducing the citations here for the sake of brevity.) These findings are pretty remarkable in their own right, and will probably be quite unsettling to some readers. This is also likely the only part of the book that will seem truly novel to those already highly schooled in philosophy; the debate about free will has been ongoing for centuries, and it seems unlikely to me that Harris' short book (at less than 100 pages long) contains any truly novel philosophical arguments. Even so, I'm not sure the discussion of these studies will actually work to Harris' advantage. The core of his argument is philosophical, but some readers are certain to get caught up in overthinking the scientific claims, even though, as Harris himself states, nothing actually depends on them. Why did I order beer instead of wine? Because I prefer beer. Why do I prefer it? I don't know, but I generally have no need to ask. Knowing that I like beer more than wine is all I need to know to function in a restaurant. Whatever the reason, I prefer one taste to the other. Is there freedom in this? None whatsoever. Would I magically reclaim my freedom if I decided to spite my preference and order wine instead? No, because the roots of this intention would be as obscure as the preference itself. Neither does the possibility of indeterminism offer any refuge for free will, claims Harris. I think he is being accurate when he states that arguing against determinism is no longer "philosophically respectable," but nevertheless there are some who persist in doing so. In fact, often as a way to salvage traditional notions of free will, "some scientists and philosophers hope that chance or quantum uncertainty can make room for [it]." This argument doesn't stand up to much scrutiny, though, and Harris dispatches it succinctly, observing that "[c]hance occurrences are by definition ones for which I can claim no responsibility. And if certain of my behaviors are truly the result of chance, they should be surprising even to me. How would neurological ambushes of this kind make me free?" 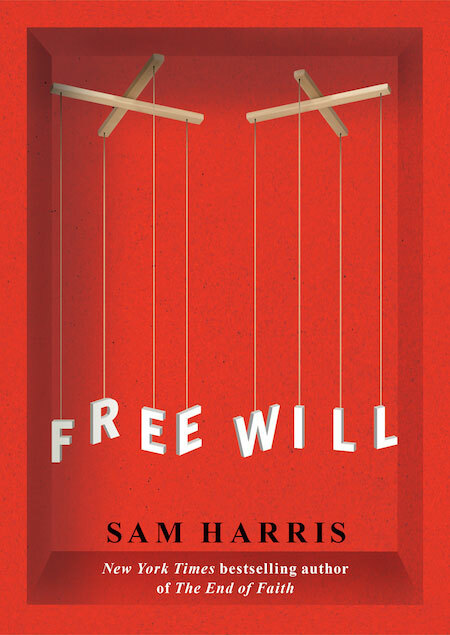 Harris reserves a couple chapters at the end of the book to discuss the practical consequences of giving up one's belief in free will. I found these chapters somewhat perfunctory and unconvincing. In fairness, they are tangential to the actual purpose of the book, but given how deeply the assumption of free will is rooted in human psychology and society, I would have liked to see a more thorough discussion here. Moreover, I think Harris could have made room for that by eschewing some of his examples of how we feel free but really aren't, many of which are reducible to the same observations and therefore feel repetitive despite the book's short length. Many people worry that free will is a necessary illusion—and that without it we will fail to live creative and fulfilling lives. This concern isn't entirely unjustified. One study found that having subjects read an argument against the existence of free will made them more likely to cheat on a subsequent exam. Another found such subjects to be less helpful and more aggressive. It is surely conceivable that knowing (or emphasizing) certain truths about the human mind could have unfortunate psychological and/or cultural consequences. However, I'm not especially worried about degrading the morality of my readers by publishing this book. (Again, Harris provides citations for the studies he references.) Harris goes on to justify the last sentence with reference to his personal experience of losing his sense of free will, stating that it has "[increased his] feelings of compassion and forgiveness, and [diminished his] sense of entitlement to the fruits of my own good luck." I suppose his experience shows that it is possible for losing one's belief in free will to have positive (or at least neutral) psychological consequences, but given that research shows that this is not the typical result, I don't think that a personal anecdote should be enough to set us at ease. Of course, it should go without saying that this has no bearing on the existence or non-existence of free will. Harris' discussion of morality is a bit more satisfying. He observes that, without a belief in free will, retributive justice becomes difficult if not impossible to justify: "Once we recognize that even the most terrifying predators are, in a very real sense, unlucky to be who they are, the logic of hating (as opposed to fearing) them begins to unravel." This is eminently compatible with modern liberal understandings of how justice should operate. Happily, the logic behind rehabilitation, incarceration for the safety of society, and punishment as a means of deterrence, remains intact: "It may seem paradoxical to hold people responsible for what happens in their corner of the universe, but once we break the spell of free will, we can do this precisely to the degree that it is useful." "Consider what it would actually take to have free will," Harris writes. "You would need to be aware of all the factors that determine your thoughts and actions, and you would need to have complete control over those factors." Harris takes this as, I think, basically axiomatic, but compatibilists disagree. Dennett writes that "[s]uch 'perfect' freedom is, of course, an incoherent idea," which is true, but I think this is actually Harris' point: this is the free will that people suppose they have, but when one thinks about the implications of that belief, it is shown to be nonsensical. Here we arrive at another disagreement between Dennett and Harris: Dennett argues that Harris doesn't actually know what people in general think about free will, and that "suitably expressed questionnaires might well prove him wrong." In fact, he provides a study which he purports does exactly that: polls conducted but Nahmias et al. appear to show that people with no philosophical background actually do have compatibilist notions of free will. Despite our efforts to induce participants to make their judgments based on a conditional acceptance of the scenario, it is likely that some did not do so, as evidenced by those who missed the manipulation check on the back of the surveys, which tested whether they recognized the deterministic nature of the scenario. Some of these participants may have even been expressing incompatibilist intuitions, e.g., by asserting that Jeremy acts of his own free will and then (mis)responding that the scenario therefore could not have been describing a fully deterministic situation. I agree with Harris that this is a very valid concern, and I'm not convinced that the "manipulation check" (which isn't described in much detail) would have been sufficient to account for it. Nahmias et al note that "many" participants found the deterministic scenarios they used "implausible or impossible," and that in one case, "almost all participants" believed the scenario was impossible. While participants' stated reasons for this belief varied, it seems entirely plausible to me, and perhaps even likely, that a significant number of participants could not effectively reason about the situations being presented because of strong attachments to beliefs that contradict the scenarios' premises. In any case, Dennett argues that even if people do in fact have a natural tendency towards libertarian incompatibilism (i.e. they believe in free will but do not believe that it is compatible with determinism, and, perhaps consequently, disbelieve determinism), this might just show "that most people are suffering from a sort of illusion that could be replaced by wisdom." He seems to believe that the illusion in this "folk conception of free will" is based on Cartesian dualism, and that the goal of compatibilism is to correct replace this "nonsense" with something more "scientifically sound." Dennett wonders why Harris objects to this project and suggests that Harris is arguing for Cartesian dualism, but this is a misconstrual: Harris is simply drawing a distinction between what we consciously experience and all of the unconscious processes our brains are engaged in at every moment, of which we have no (subjective) knowledge. This is an important distinction, because Dennett's compatibilist view of free will is predicated on the fact that "we are coterminous with everything that goes on inside our bodies, whether we are conscious of it or not" (Harris' words). But although this is true, our subjective, conscious experiences are actually only proxies for the underlying neural states in our brains; one simply does not have conscious access to the totality of his or her being. This is not simply a misconception that can be corrected: it does seem to be, as Harris argues, a "psychological fact," and I would argue that it is probably also a biological fact. I am sure this is not what Dennett hopes to replace with compatibilism, but I find myself confused about the nature of the misunderstanding he feels he can correct. Contrast your competence at this moment [of deciding which card to play in bridge] with the "competence" of a robotic bridge-playing doll that always plays its highest card in the suit, no matter what the circumstances. It wasn't free to choose the six, because it would play the ace whatever the circumstances were whereas if it occurred to you to play the six, you could do it, depending on the circumstances. Freedom involves the ability to have one's choices influenced by changes in the world that matter under the circumstances. Not a perfect ability, but a reliable ability. If you are such a terrible bridge player that you can never see the virtue in ducking a trick, playing less than the highest card in your hand, then your free will at the bridge table is seriously abridged: you are missing the opportunities that make bridge an interesting game. If determinism is true, are these real opportunities? Yes, as real as an opportunity could be: thanks to your perceptual apparatus, your memory, and the well-lit environment, you are caused/determined to evaluate the situation as one that calls for playing the six, and you play the six. If we instead contrast a human chess player with a computer such as Deep Blue, we see that the latter has all of the faculties that Dennett claims give a person free will: "perceptual apparatus," memory, etc. Granted, the human player could purposefully make a bad move, or quit the game, which the computer is not free to do given its programming. But its programming could easily be changed to permit those options as well. The point is that the computer behaves in a determined manner according to the combination of its algorithm and the inputs to that algorithm. Dennett seems to admit that we humans do exactly the same, if with a more complex algorithm and broader range of inputs, but claims that this is freedom nevertheless. But this does not seem to me to be a meaningful use of the word freedom, and I think Harris is correct that it is not the sort of freedom that most people suppose they have. Despite the length at which I've discussed Free Will, there is much that I did not cover. If you found this discussion even moderately interesting, then you'll certainly enjoy the book, and I do recommend reading both Dennett's criticism and Harris' response to it as well. Philosophical concepts can be extremely difficult to grapple with, and reading about them second-hand is rarely beneficial to understanding. I really enjoyed reading Free Will, and I found myself agreeing with pretty much all of it, but I hesitate to call it convincing: I was already skeptical of the idea of free will given our scientific understanding of determinism, so I really didn't need much persuasion. For those who feel a deep sense of attachment to the idea of free will, I am not sure Harris' arguments will be sufficient to convince you otherwise. As the debate between Dennett and Harris demonstrates, the concept itself can be so nebulous as to make it difficult to even discuss. This may also prove an obstacle for those who lack exposure to philosophical reasoning, as the arguments can sometimes seem to devolve into semantic disputes. Conversely, those with a significant philosophical background may find Free Will uninteresting as they're likely to have read similar arguments before. For everyone else, though, it comes highly recommended: this is the rare sort of book that could really have a profound impact on a person, and it can be read in a sitting, so there's really not much to lose. Well, except your sense of autonomy, I suppose.